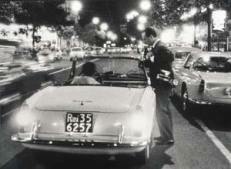 It was on June 25th, 1993, when our first vintage car tour started. The most authoritative journal of this sector titled ”L'emozione del bello" (The emotion of beauty) and described the tour as “original”. For sure, the best compliment for those, who at that time ‑ and that deep in the south! ‑ had developed a philosophy and a mode of traveling which now, after 15 years, is looked upon throughout Europe with the ambition to imitate it. Since then, much fuel has run in the carburetors, techniques have proceeded, new routes have been added, further programs, in particular the internationalization of our journeys with guests from Sweden, the Netherlands, Germany, France, Austria and Britain. But there is something that has never changed, something inside the people ‑ those who were there in the very beginning and those who joined over the years: the capacity to be astonished at beauty. People who do their work with so much passion that they are able to infect also the most disenchanted and worn out. And after hundreds of successful tours and rejoicing guests, it is them who seem to be the most enthusiastic “tourists”. In fact, we have always considered the rediscovery of observing and listening to be the essence of all our initiatives. 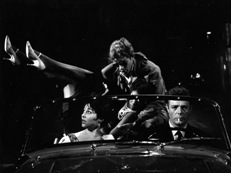 In the crazy Roman nights of "La dolce vita", Marcello Mastroianni drives a glamorous Triumph. A journey with Meridianosedici, though, may give even stronger and more real emotions, because the vintage cars allow to link with the essence of the surrounding landscape. And this is how the fascinating Triumph Spiders let one experience the most noble and beautiful side of tourism: a deep understanding of the people and the places.